The biggest American sports season of the year is upon us! While some people are lucky enough to snag a seat in the stadium and be part of the ultimate tailgate, most of us are watching from the comfort of our own homes. 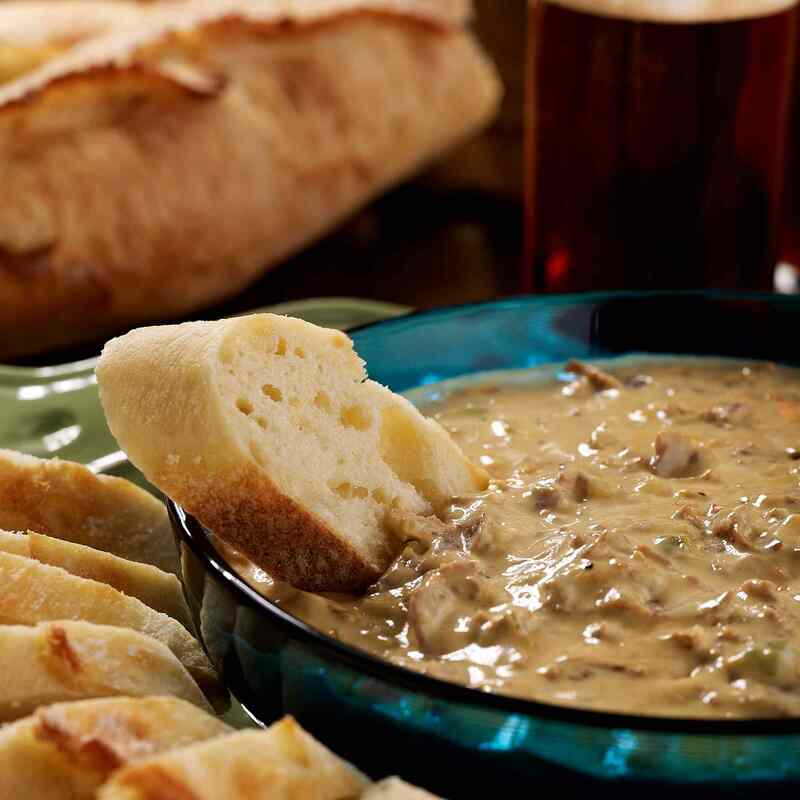 We’ve picked our 4 favorite game-day dips that are sure to be a touchdown for your taste buds. Tailgating may seem like a recent way to get pumped for your team, but feasting before big events is actually a time-honored tradition. Anyone who has been to Philadelphia, near Philadelphia, or has heard of Philadelphia probably knows the city of brotherly love and the cheesesteak will forever be linked (you may have heard of the two most-notable eateries, too!). We've taken every delicious cheesesteak component and turned it into a dunk-able dip that doesn't require any special ordering. Pizza is a party staple at birthdays, weekend family nights, and yes, football games. This dip harnasses the cheesy goodness of your favorite pizza pie in a satisfying, make-ahead recipe. And by using America’s favorite pizza topping, every bite is worthy of excessive celebration. Don't forget the make-it-yourself pizza crust dippers—they make it feel like you're eating a slice. Buffalo wings may be one of the best accidents that ever happened to sports food. The spicy and tangy buffalo sauce, mixed with cool and creamy blue cheese, is a match-up like no other. As a dip, these flavors melt together without the mess, leaving you plenty of time to watch the game (and those must-see commercials! ).